Description: Blumenthal Buttons are a quick and easy way to spice up any sewing or craft project! Use on fashion accessories, coordinating apparel, scrapbooking or designer crafts. Buttons are not suitable for children, not a toy. 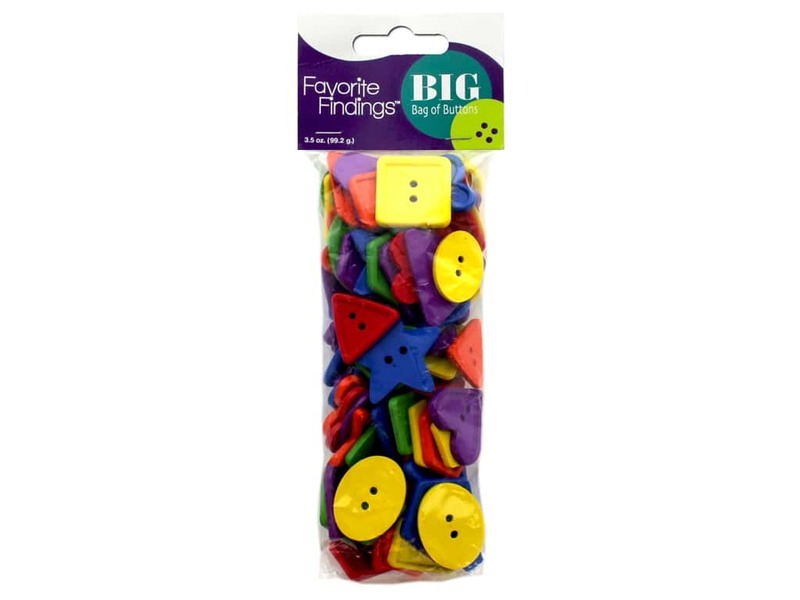 Favorite Findings Big Bag 3.5 oz Shapes- These buttons are shapes: oval, triangle, star, square, rectangle, heart, and more. Most have two holes. Primary colors are red, orange, yellow, green, blue, and purple.